Erin Banco on "Pipe Dreams: The Plundering of Iraq's Oil Wealth" (Columbia Global Reports), uncovering squalid deals, unscrupulous foreign oil companies, and rampant corruption in the Kurdistan Regional Government since the 2003 invasion of Iraq. It also touches on Turkey's role in fostering Erbil's independence from Baghdad through oil deals. Mehmet Kentel on the life and work of Yusuf Franko, an obscure Ottoman bureaucrat who lived a remarkable double life as a caricaturist depicting Istanbul's cosmopolitan late 19th century high society. Kentel is a PhD Candidate in Near and Middle Eastern Studies at the University of Washington, and was adviser to the exhibition “The Characters of Yusuf Franko: An Ottoman Bureaucrat’s Caricatures” at the Koç University Research Center for Anatolian Civilizations. Boğaziçi University Professor Edhem Eldem on "A Transnational History of the Attempt on Abdülhamid II" (Palgrave Macmillan), which he co-edited with Houssine Alloul and Henk de Smaele. The book explores a deadly assassination attempt targeting the Ottoman sultan in Istanbul in 1905, and appears at a time when Abdülhamid II is the subject of a growing popular obsession among religious conservatives in Turkey. Support Turkey Book Talk by making a donation via Patreon. Many thanks to current supporters Celia Jocelyn Kerslake, Michelle Zimmer, Jan-Markus Vömel, Steve Bryant, Aaron Ataman, Max Hoffman, Andrew MacDowall, Paul Levin, Ayla Jean Yackley, Burak Kodaz and Tan Tunalı. Palestinian author and lawyer Raja Shehadeh on "A Rift in Time: Travels with my Ottoman Uncle" (OR/Basic Books), retracing the journey of his great uncle Najib Nassar, on the run for three years in Greater Syria from 1915. Editor Lora Sarı on Aras, a publishing house set up in 1993 in Istanbul as a "window onto Armenian literature." We also discuss Migirdic Margosyan's classic "Infidel Quarter," published this year as Aras' first English-language title. Support the podcast by making a donation via Patreon. Many thanks to current supporters Celia Jocelyn Kerslake, Michelle Zimmer, Jan-Markus Vömel, Steve Bryant, Aaron Ataman, Max Hoffman, Andrew MacDowall, Paul Levin and Tan Tunalı. Özlem Madi-Şişman on her book "Muslims, Money and Democracy in Turkey: Reluctant Capitalists" (Palgrave Macmillan). 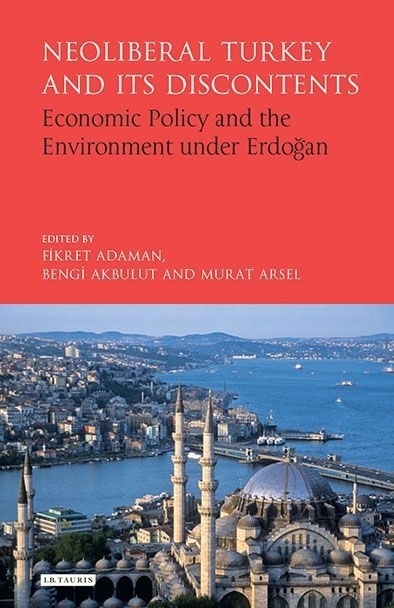 Fikret Adaman of Istanbul's Boğaziçi University on "Neoliberal Turkey and its Discontents: Economic Policy and the Environment under Erdoğan" (IB Tauris). Alexander Clarkson of Kings College London discusses his research on the Turkish and Kurdish diaspora in Germany, the long shadow of Turkey's 1980 military coup, and the bitter state of ties between Turkey and Germany today.